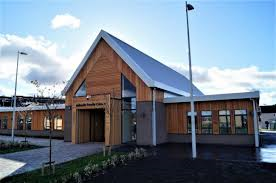 Arthurlie Family Centre will remain closed tomorrow Thursday 1st March. Sensory Club for parents starting on Friday 2nd March for 4 weeks. Nursery closed 28th February 2018 due to adverse weather. We have been advised by East Renfrewshire Council that all East Renfrewshire schools and nurseries are closed tomorrow, 28th February 2018, due to adverse weather. Please check ERC website and twitter for updates for further information.